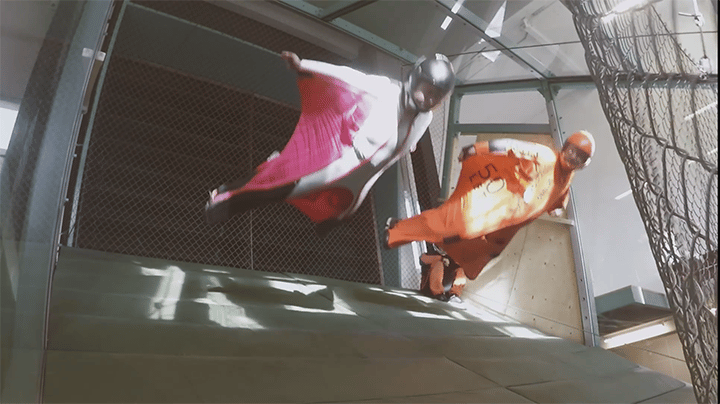 On December 13th, 2016 the team at Inclined Labs announced and demonstrated the worlds first inclined wind tunnel for wingsuit flying. 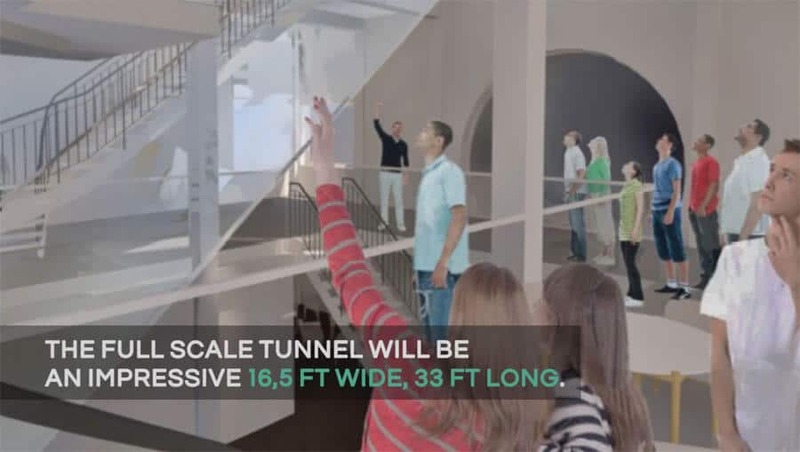 The tunnel is a patent pending custom design features an adjustable speed as well as adjustable incline. A safety system using a patent pending harness has been implemented to ensure safety for flyers of all ages. The full sized wing-suiting facility features a clear flying chamber that is 16.5 ft wide and 33 feet long. The facility opened to the public September 2017.